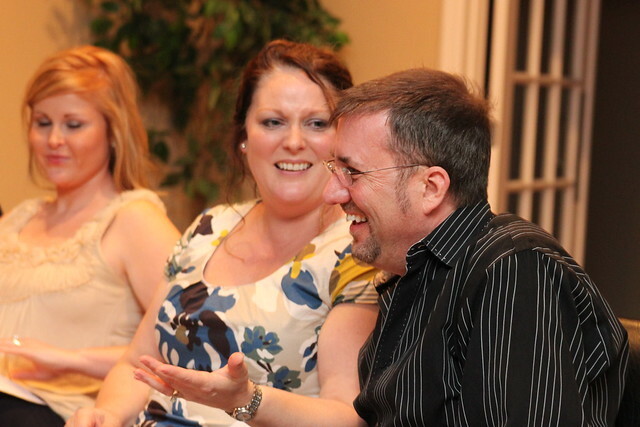 Last night we threw a couples wedding shower for my new coworker Shannon and his beautiful bride-to-be, BJ. We have the perfect place for a party at our office, so I decided to take the blank slate of a room and turn it into something beautiful. 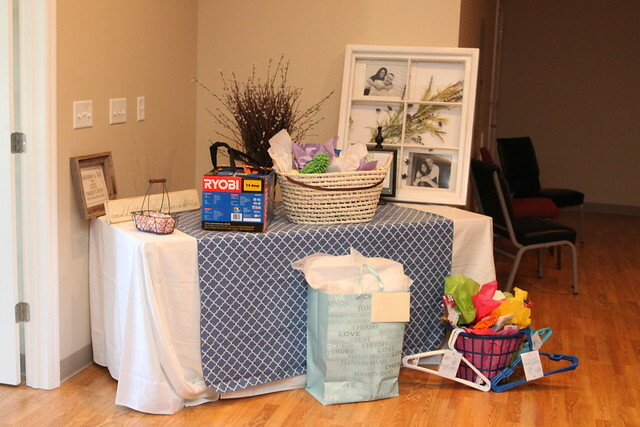 Since it was a couples shower I wanted to keep it a little bit masculine but still beautiful. 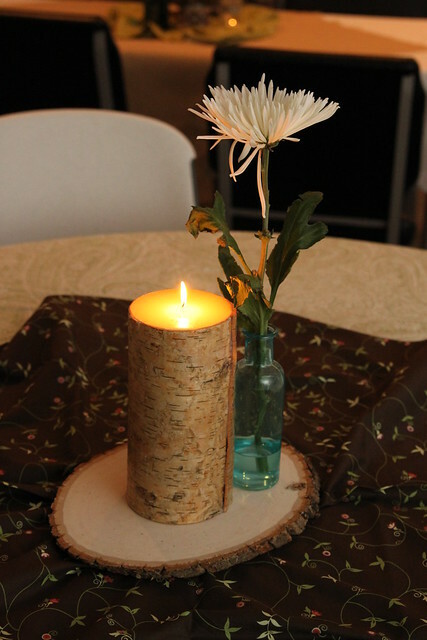 I had something rustic but elegant in mind, so I gathered ideas from a bunch of blogs and pinned them to my pinterest party board. Pinterest is my absolute favorite place to gather inspirational photos and ideas from the internet. My co-host Lindsey was PHENOMENAL help. She really worked hard to help me get everything decorated and arranged. We had never met each other before this shower, but she and I hit it off immediately and worked well together to make all of this happen. There is no way I could have pulled this off without her hard work, so a huge thank you to her for everything that she did. Another co-host Jennifer rocked out at assembling all the food just before everyone arrived. 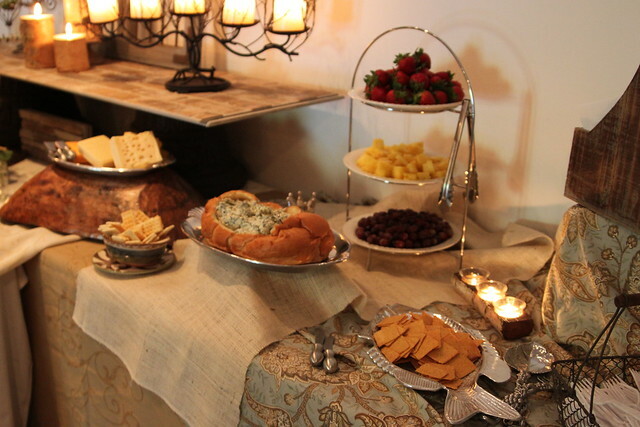 She was made all those platters look impeccable so all the food was perfect! I’m so thankful to those ladies for putting so much effort into making this room look as beautiful as it did. Here is the final result of all that decorating! I made the pennant banner using burlap cut into triangles strung on jute twine and used scrapbooking paper to cover wooden pennants for the monogram. I spraypainted the letters on the monogram with ORB spraypaint to make them stand out before I glued them on. Since I work for a company that uses a lot of Nichihi siding materials we have a TON of FREE samples lying around. 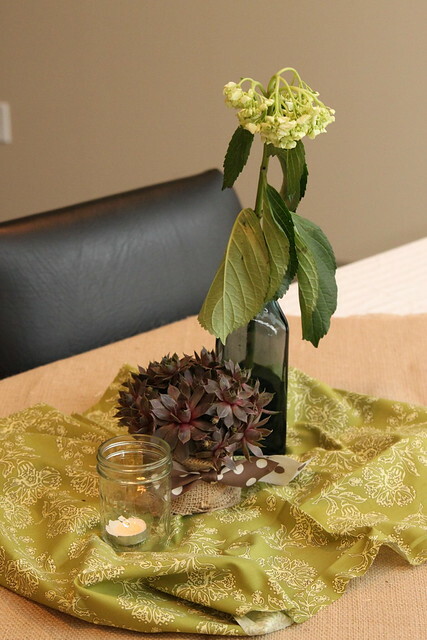 I decided to incorporate some of those products into the table for some low cost/ high impact visual appeal. The stone corners and the fake brick on top of the flowerpots were both samples from my office. 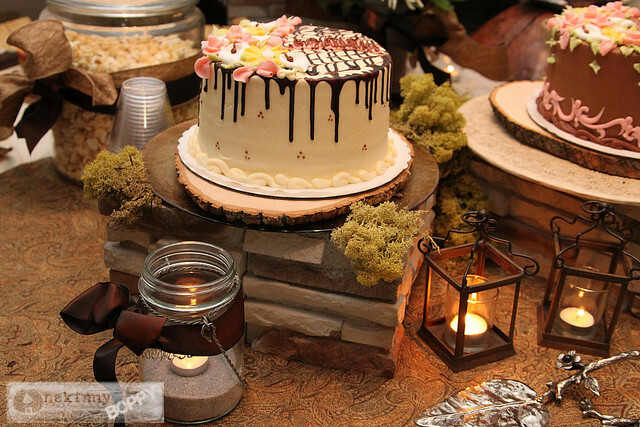 I used the stacked stones as cake stands, then we covered over the sharp (ugly) edges with spanish moss and reindeer moss. 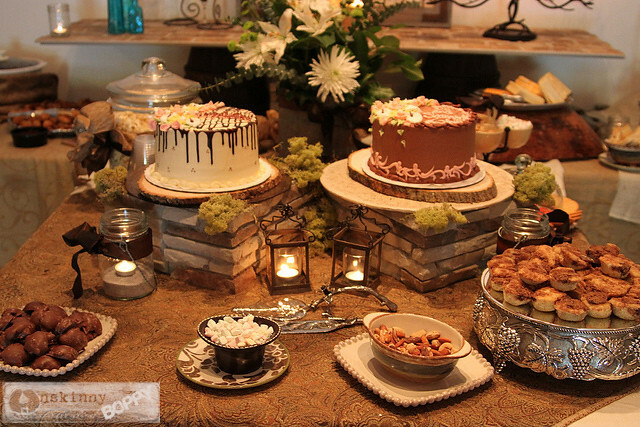 I used basswood wooden log slice rounds on top of platters for cake plates. 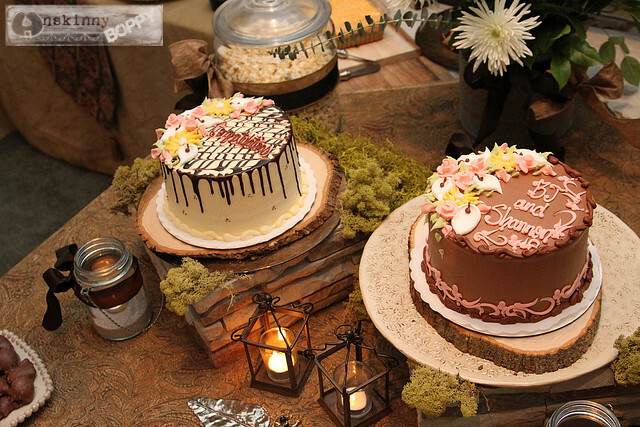 These cakes were so so good, and what a beautiful job the bakery did decorating them. 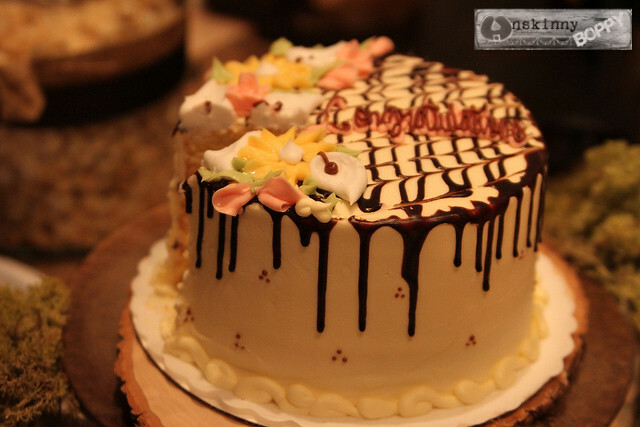 I asked for the chocolate drizzle and it turned out perfectly! 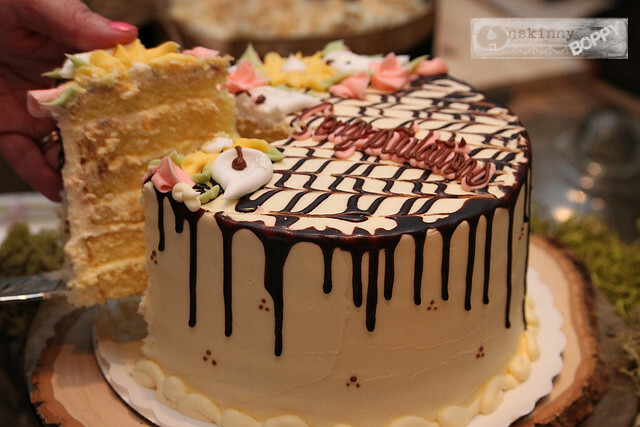 You want some cake now, don’t you? I know I do. There were leftovers, so I’m in trouble. To get some height on an otherwise tall blank wall I turned two new flowerpots from Big Lots upside down and put a sheet of the fake brick siding material on top like a mini table. Then I added a wall hanging and lots of candles for more height. 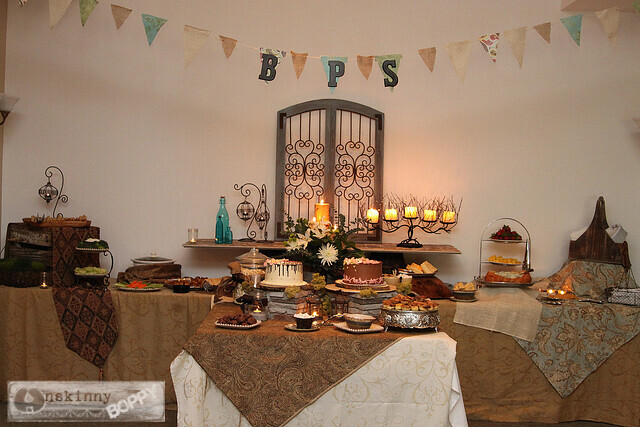 I love to stagger the height of dishes on a table so I put down a base table cloth first, then add overturned bowls and baskets for height, then cover those with coordinating tablecloths and fabrics. 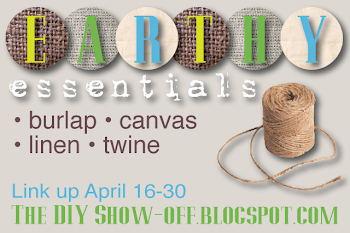 I used lots of burlap in this one! 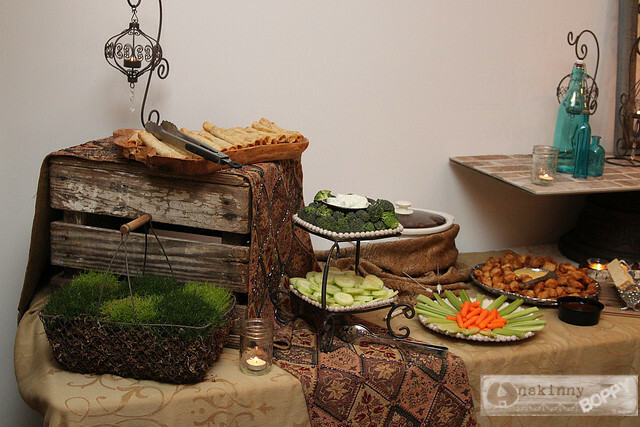 This setup used an eight foot long plus a six foot long folding table along the back and two 24″ x 48″ folding tables side by side for the center peninsula. 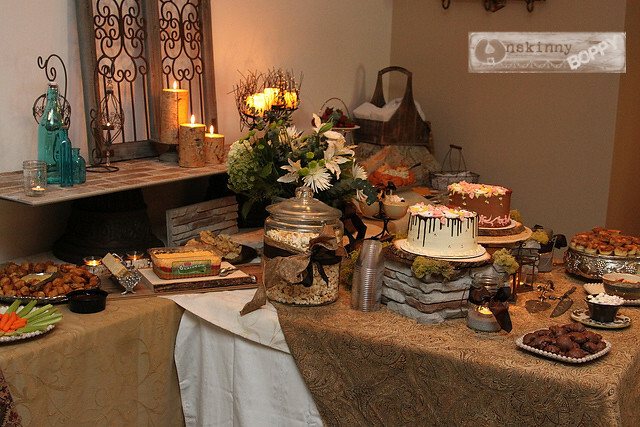 On one side I used a wooden crate with a table runner for more height. I really love how my checkerboard moss looks against that crate. 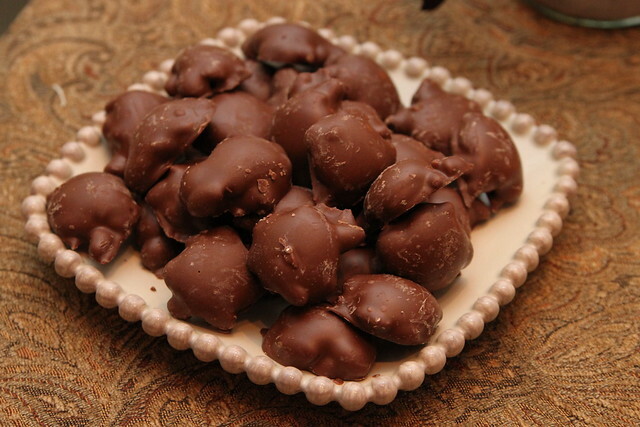 My second favorite thing might have been these chocolate turtles on my beautiful plate from Willow House. I love these plates! And the turtles were amazing. 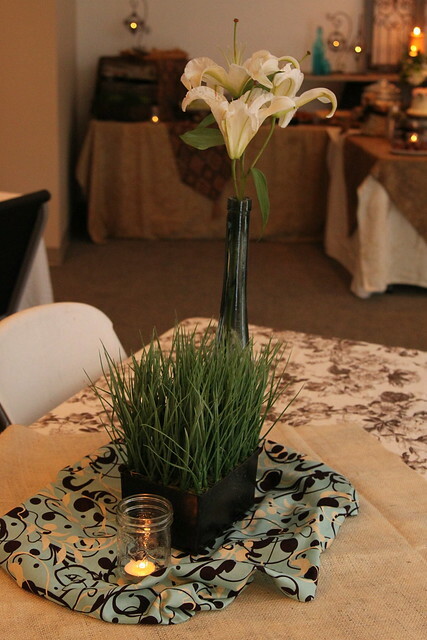 Each table had a different centerpiece with a mixture of live and fake plants, candles, mason jars with candles and bottle vases. I tried to incorporate colorful fabric to brighten things up. 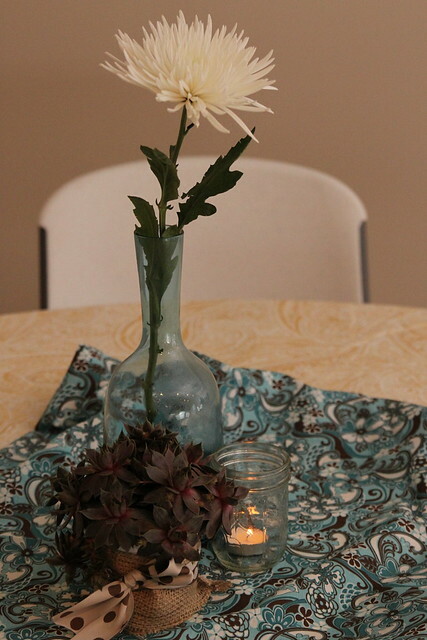 I brought my hens and chicks from home and used them as little succulent centerpieces. 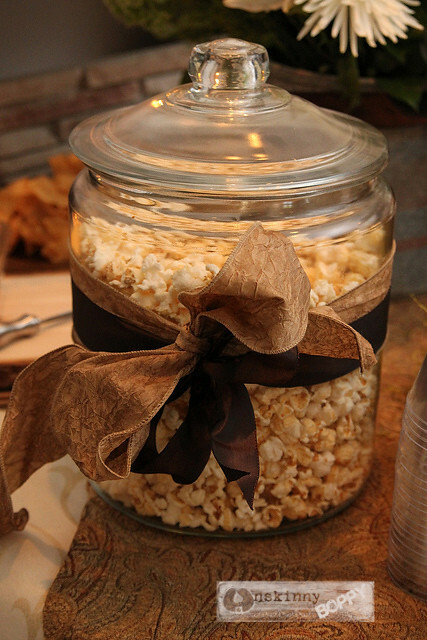 I love how they look wrapped in burlap and a polkadot ribbon. 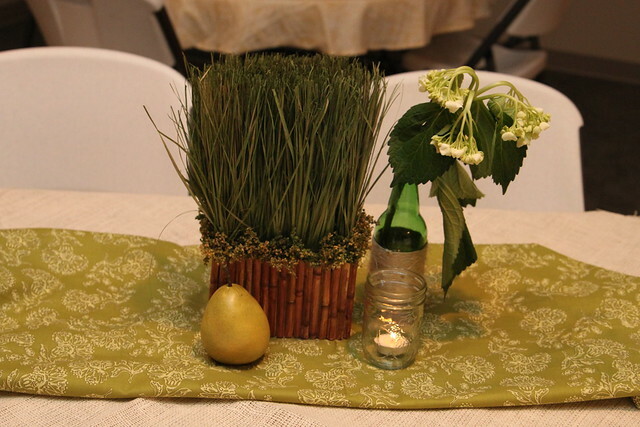 The couple’s wedding theme is “A perfect pair” with green, brown and pears being used throughout. I had no idea about this until last night. I just lucked out and brought the pears from my dough bowl to use as accents. It was totally a coincidence that they matched their theme. 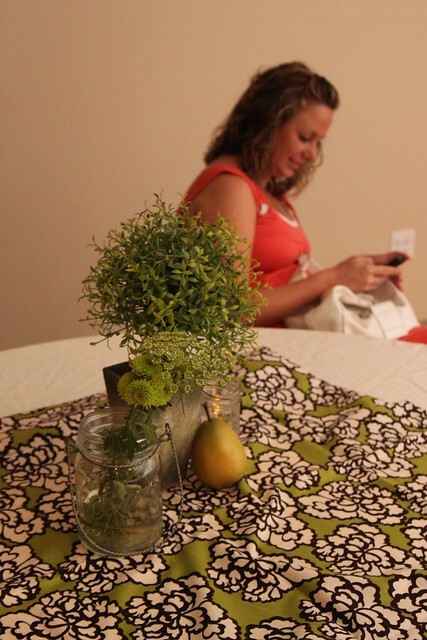 This green and brown fabric was probably my favorite that I bought. So pretty! 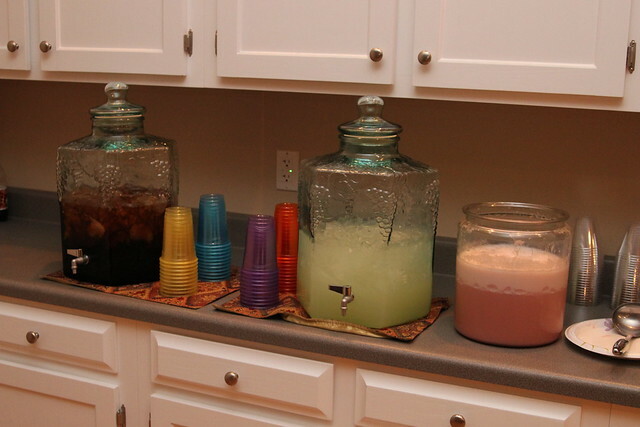 We had sweet tea, lemonade, raspberry sherbet punch and water. My cohost Lindsey brought the beautiful drink dispensers. They worked perfectly. 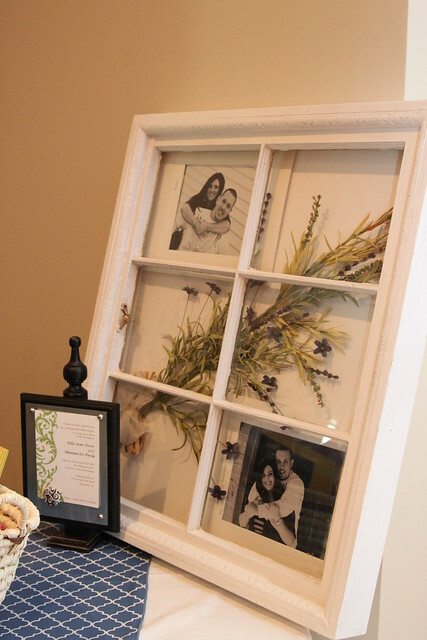 I brought things from home to decorate the gift table, including one of the wooden windows that my husband makes to display their engagement photos. Their wedding invitation was displayed on the cool magnetic board my mother-in-law got for me at a craft fair. I love that thing! I also printed out their names and wedding date on some stardream paper as a personal touch. 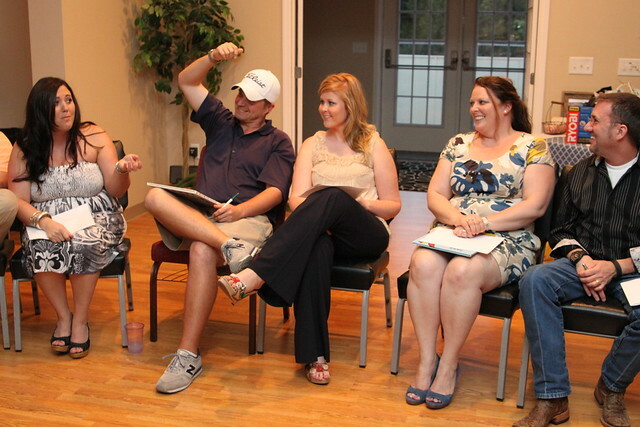 We played a version of the Newlywed Game that may or may not have gotten the boys into some trouble. 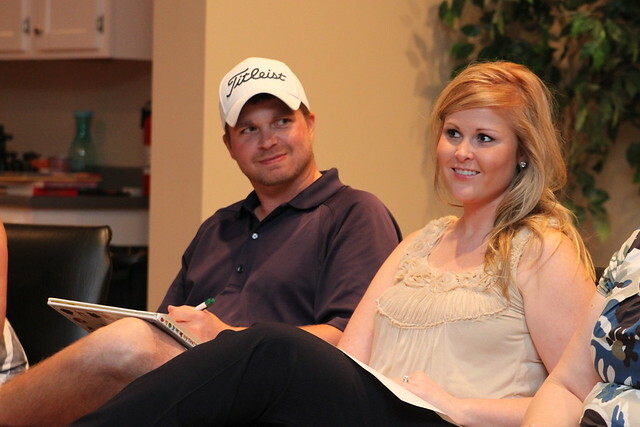 Lots of surprise questions that resulted in even more surprising answers. But it was also hilarious, too! We had a lot of laughs and some really great food. All in all it was a perfect wedding shower. 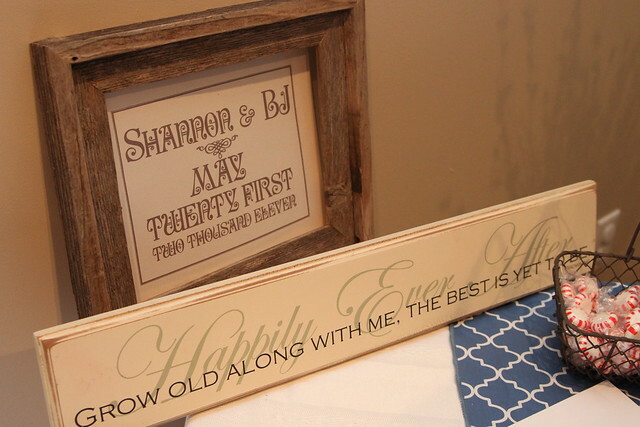 Congratulations to Shannon and BJ! I wish you guys a lifetime of love and laughter. « The 3rd Garden Party! 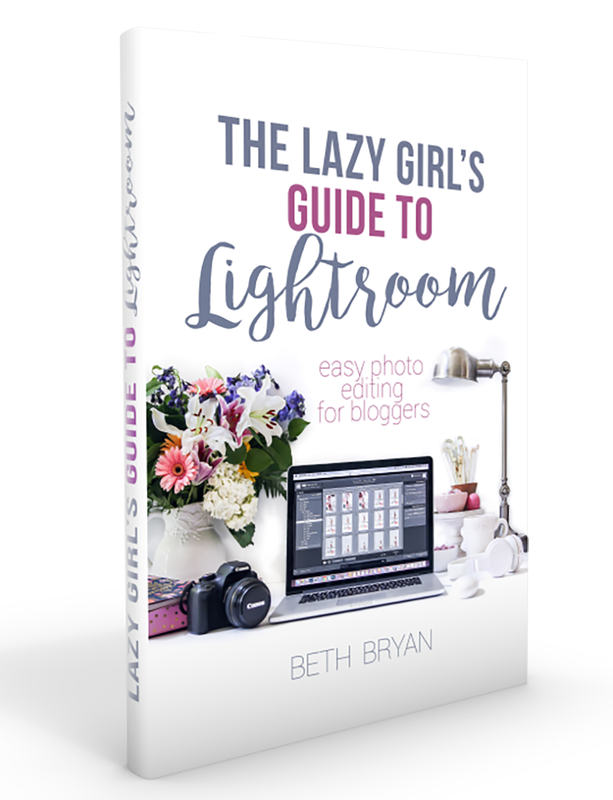 Beth – This is really snazzy! 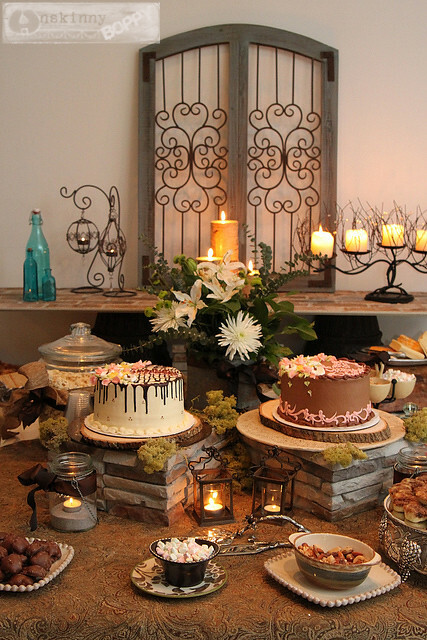 I love all the creative use of height and I’m crushin’ on that candelabra. Beth! That is amazing! You got the look just right with some masculinity in there. So many lessons for me to learn from your pictures (like adding height to the elements, etc.). You and your helpers did a wonderful job. @ Jamie- Thanks so much! I’ve had that candleabra since my wedding back in 2004! It’s seen a lot of use around my house and parties. Great table!! 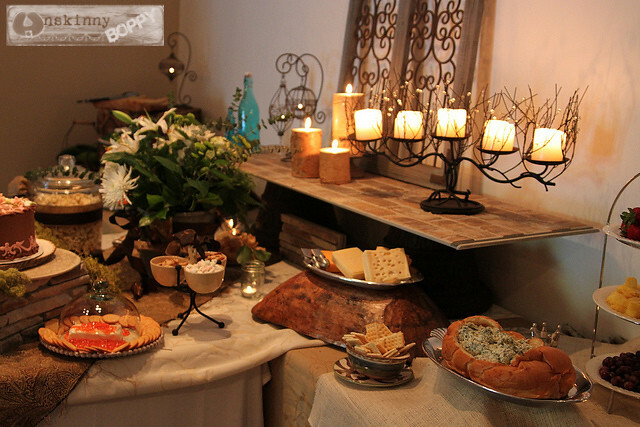 A great table just sets the scene when everyone walks in – yours would have done this hands down!! Everything is so beautiful! I love your use of the wooden crates, etc! I’m visiting for the first time and LOVE your blog name! I remember that song from my single years! Lol! Every single detail is so very pretty. It looks like you took so much time thinking everything out. Great job! absolutely BEAUTIFUL! So rustically wonderful! rustic girl after my own heart! 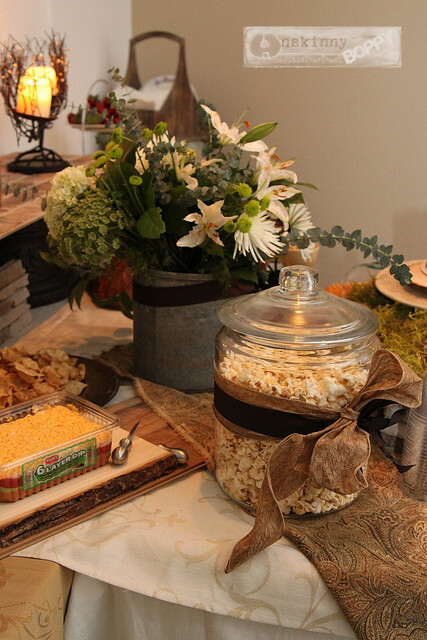 Love all the accents and super clever moss on the edges! Wow. 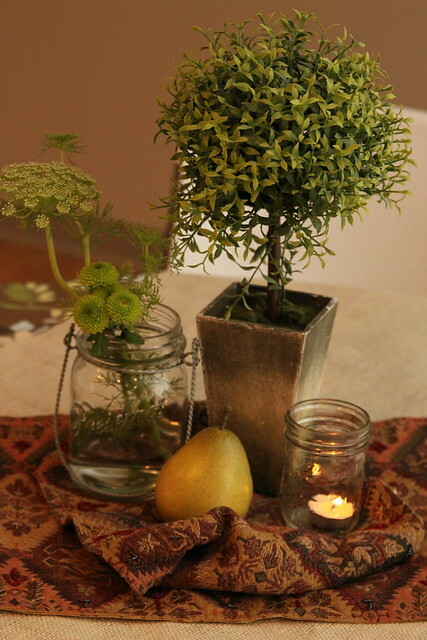 That tablescape REALLY spoke to me. I have bookmarked it to show a friend. Thanks for sharing such a wonderful idea! Beth – you are so good girl…I think the minnow bucket might be my favorite ‘on the fly’ touch, but the pears were a pretty happy accident, eh? Just now saw this post. LOVE, LOVE, LOVE everything about this! !